In some cases, you may want to insert a picture in Excel comment boxes. For example, if you have a list of products, then inserting product images in the comment box could make your Excel sheet easy to use. As soon as the user would hover the mouse over a cell that has a comment, it would show the comment and the picture within it. 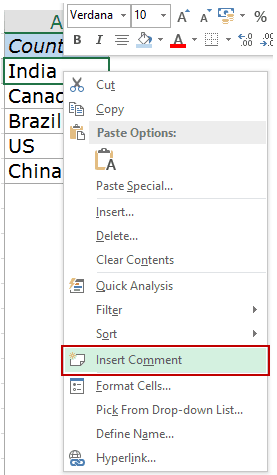 I used this trick when I had a list of countries and I wanted to insert flag image for each country in the cell comment. It’s such a simple trick; yet impresses big time!! 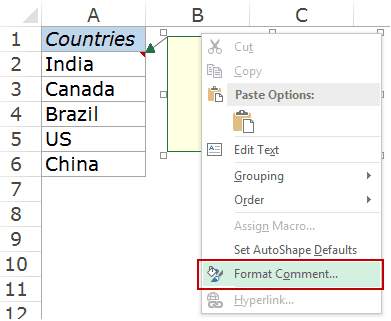 In the worksheet, select the cell in which you want to insert the comment. Right click on the cell and select Insert Comment. This will insert a comment in the cell. You can also use the keyboard shortcut – Shift + F2. (Optional Step) Delete the default username from the comment. If you don’t delete the existing text in the comment, it will display the text over the picture. Hover the cursor on the edges of the comment. You would notice that the cursor turns into a four arrow icon. Right-click and click on the ‘Format Comment…’ option. This will open the Format Comment dialogue box. 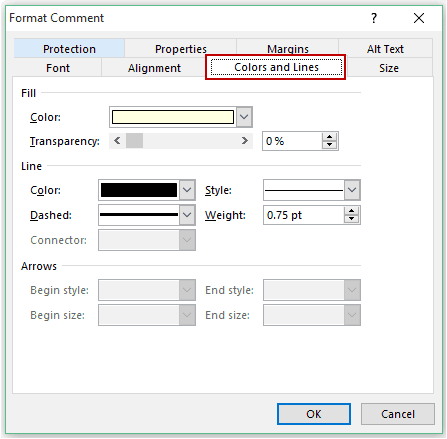 In the format comment dialogue box, select the ‘Color and Lines’ tab. 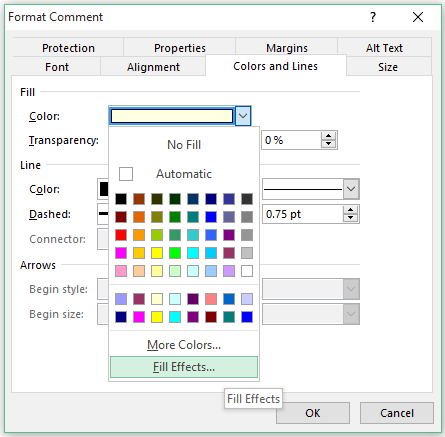 In the Color Drop down menu select ‘Fill Effects’. 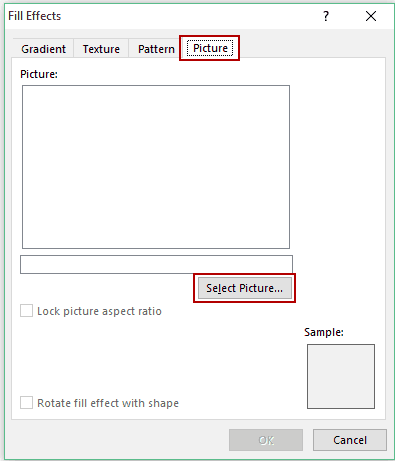 In ‘Fill Effects’ dialogue box, select ‘Picture’ tab and click on ‘Select Picture’ button below the Picture box. Browse and select the picture you want in the comment. Now when you hover over the cell, the picture would be displayed in your comment. Note: This technique involves a bit of manual work. You need to follow the above steps for each cell where you want to insert a picture in the comment. 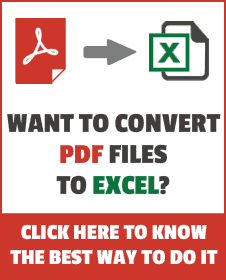 Insert Watermark in Excel Worksheets. This feature seems to have been discontinued. Sadly, it is not available in Office 365 (version 16.0.11425). I opened an old workbook that had images in the comments, but was not able to insert new ones. The menu options are simply not there. I also tried pasting into the comments, and it would resize the comment box to the size of the image, but the image would not display. What version of Excel are you using for this? I’m using Excel 15.30 for Mac and it doesn’t show me these options.